Jules Darling: New in from Clarins! 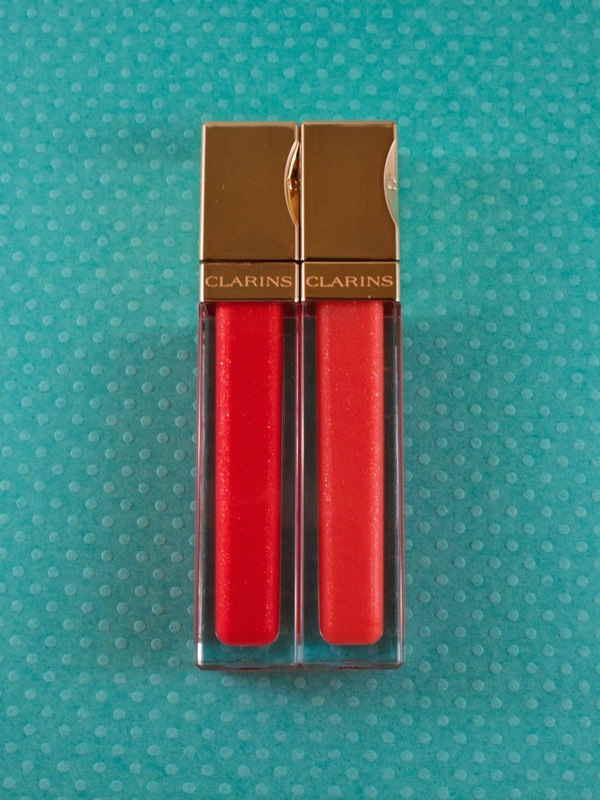 Before just a few short days ago, the only Clarins makeup I owned were two Instant Light Lip Perfecters, which--if I am honest--I like but don't love. After seeing a couple of my favorite bloggers talk about some of the new Clarins releases for Spring 2014, I decided it was high time to try out a few new products. I ended up choosing three new products (a Gloss Prodige in Coral Tulip, a Multi-Blush Cream Blush in Grenadine, and a Radiance Boosting Complexion Base in Champagne) and one from their regular lineup (a Gloss Prodige in Grenadine). Top: Coral Tulip. Bottom: Grenadine. First up: the Gloss Prodiges. I am a lipgloss junkie, but I've somehow managed to never try these before. I have had my eye on them for months, though, and when I saw this instagram, featuring Coral Tulip, I knew it had to be mine. I also threw in Grenadine for good measure, 'cause I'm nothing if not excessive. The Gloss Prodiges are thick glosses, but they manage two marvelous feats: they are neither sticky, nor gloopy. They apply and wear beautifully and have a shimmer throughout. 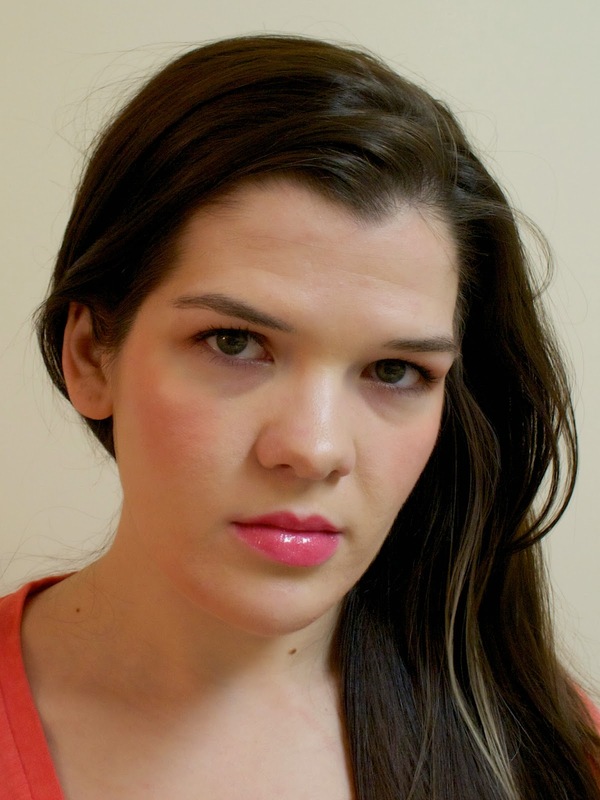 I love lipglosses in winter especially (oh hell, who am I kidding? I love them year round, day and night, 24/7) because they can cover all manner of sins on your lips--flakiness and chapping included! I find that they also make your lips look fuller, which is something we pretty much all strive for. I expected Grenadine to be a reddish shade, but it's actually more in the pinky/strawberry family, with fine gold shimmer. It swatches quite warm, but my cool lips tone that down a bit. It features a doe foot applicator that is slightly flattened--my absolute favorite means to apply gloss. Be warned that it does have a fairly strong fruity scent, though. I think it smells great, but others might be put off by it. This is definitely the more vibrant of the two shades I picked up. 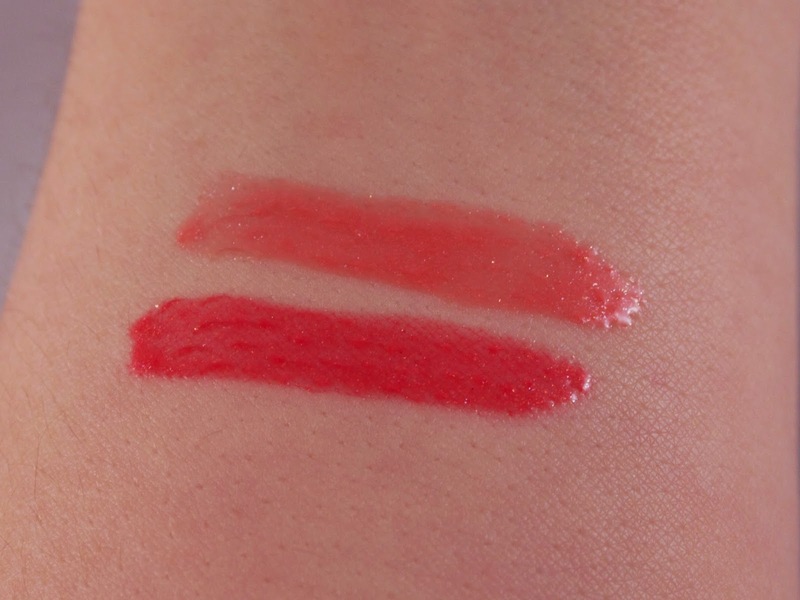 Coral Tulip, which I'm pictured wearing below, is a warm coral when swatched, but it again pulls more pinky on my lips. Like Grenadine, it has gold shimmer throughout. I sometimes have trouble wearing lighter pinks or peaches, but that is not the case here. I think the color is beautiful and fresh. I am positive I will wear this to death throughout spring. Clearly, something about the name Grenadine was standing out to me during this shopping excursion, because I also picked up one of the new Mutli-Blush Cream Blushes in this shade! I generally prefer cream blushes to powder ones these days, so as soon as I saw these blushes (which come in four shades), I knew I had to pick one up! 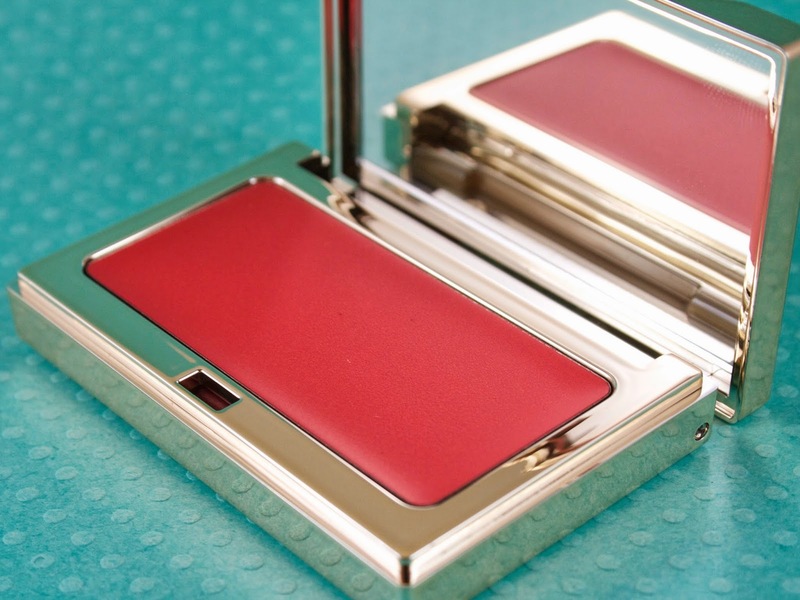 The compact is so petite and cute, and the blush inside is fantastic. It is a neutral strawberry red, with no shimmer or glitter. Depending on your tastes, Grenadine might appear a bit overwhelming in the pan, but it applies more subtly than you would first think. The formula is creamy (duh!) but almost thin. It's not sticky and blended out easily on my skin (I just used my fingers to apply). 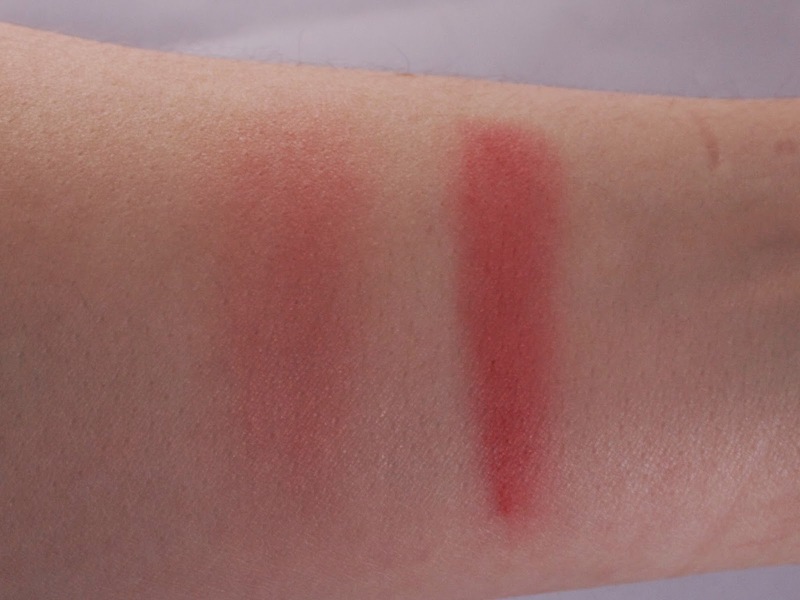 The natural flush that this blush gives would look beautiful on a range of skintones and it complemented both of the Gloss Prodiges I picked up, as well. 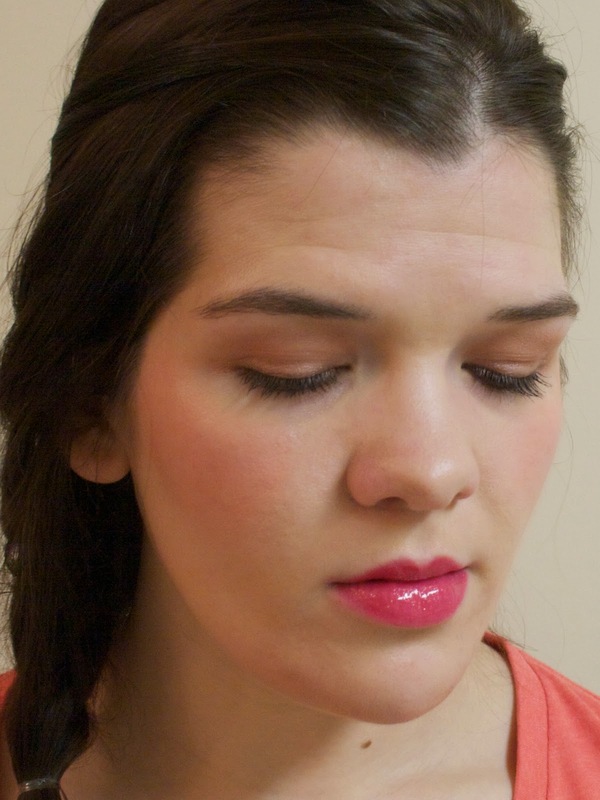 Multi-Blush Cream Blush in Grenadine on cheeks, Gloss Prodige in Coral Tulip on lips. 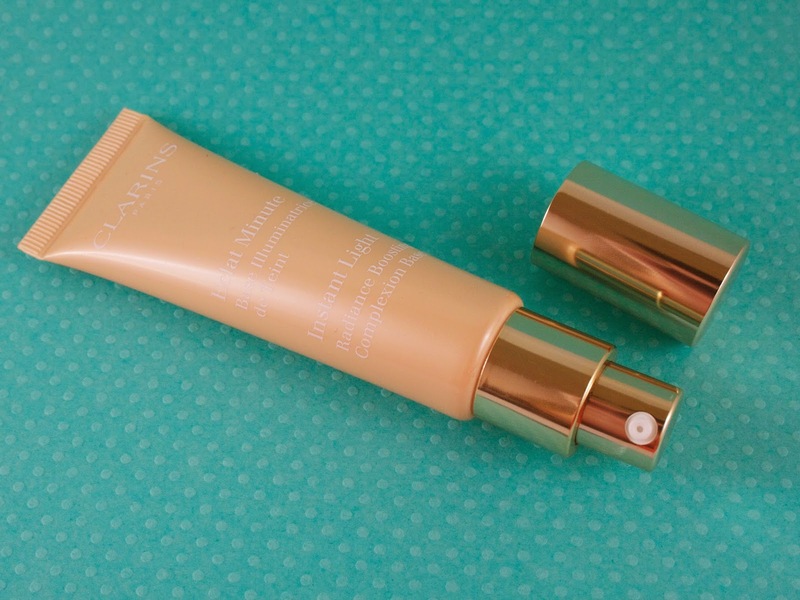 One other stellar product is the Instant Light Radiance Boosting Complexion Base in Champagne. This product can be used in a number of ways, but I'm wearing it as a primer under my Giorgio Armani Luminous Silk foundation in the photo above. The shade Champagne is meant to counteract redness and illuminate skin. I've never been one to use products for redness in my skin. 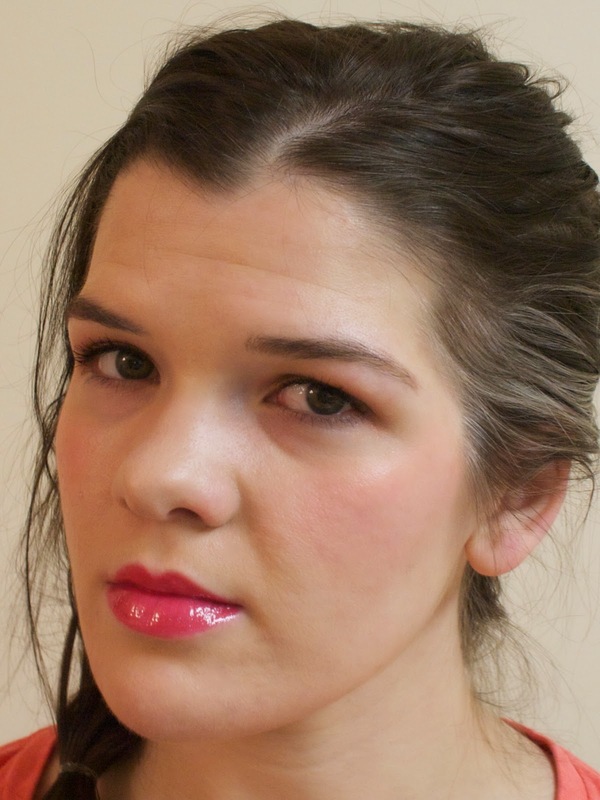 I don't have a particularly ruddy complexion and I don't naturally blush (Like, ever. I don't think I can...my suspicion is that the capillaries in my skin just lack the ability to cause me to blush). I do have a bit of scaring around my chin at the moment from some bad breakouts over December & January, though, so I thought that this might be useful to counteract that. I've only used this three or four times (too soon to form a solid opinion), but my initial impression is that this is going to be a staple in my routine for years to come. It is by far the best primer I can remember using. It seems to definitely help counteract the redness around my chin and it imparts a beautiful luminescence to my face. It has also consistently kept my face from getting oily--each time I've worn this, I've been surprised about how non-shiny my skin has been. That never, ever happens to me! I didn't expect that from this product, so that has been a pleasant surprise! The pump packaging is another bonus--it's hygenic and helps to stop you from using too much product. One pump of this covers my entire face. The only tiny downside to this is that it does not smell good. At all. But the scent completely dissipates as soon as you apply it, so the smell is really a non-issue. Overall, I'm blown away by every single one of the items I've picked up from Clarins recently. If you've never ventured to try this brand, I would highly recommend you take a gander at their counter. Some good stuff, if you ask me! If you are already a fan of Clarins makeup, what are your favorites? Let me know below! Please follow me on Bloglovin', Twitter and Instagram!